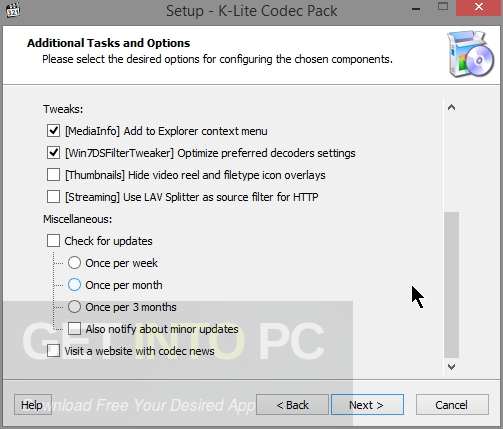 Media Player Codec Pack 4.4.5.707 Free Download Latest Version for Windows. You Can deal with any multimedia file and No additional software required. Media Player Codec Pack 4.4.5.707 is a handy codec pack for the playback of audio and video content in your favorite player. You can deal with any multimedia file and you are not required to install any additional software. It has got a setup kit which has got additional tools which will bring numerous changes. 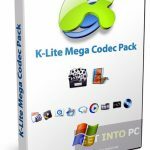 You can also download K Lite Codec Pack 2015 Mega Full Basic. 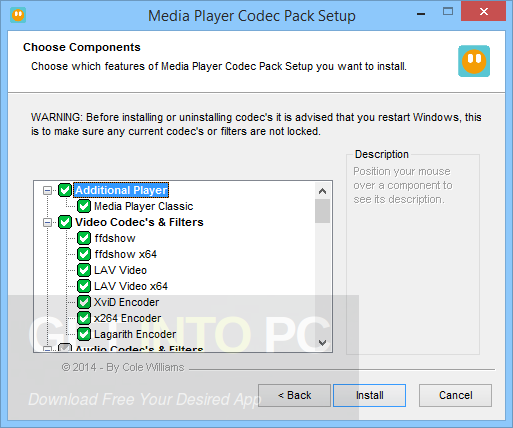 Media Player Codec Pack 4.4.5.707 has got two installation modes which includes easy mode and detailed mode. Media Player Codec Pack 4.4.5.707 supports all sorts of compression and file type which are used by all modern audio and video files. It includes various different video codecs and filters which includes LAV, XviD Encoder, ffdshow and Flash FLV. It also includes some audio filters like Lame MP3, DivX Audio, LAV Audio and AC3Filter etc. 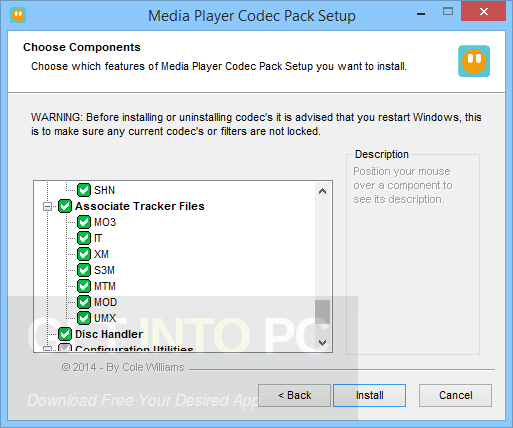 Media Player Codec Pack 4.4.5.707 also lets you configure file associations from installer which means you can set Windows Media Player to manage VOB, FLV, FLAC, OGG and MKV files etc. 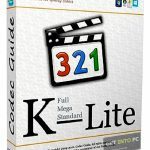 You can also download K Lite Codec Pack 11.3.0 Mega. Below are some noticeable features which you’ll experience after Media Player Codec Pack 4.4.5.707 free download. Handy codec pack for playback of audio and video content in your favorite player. Can deal with any multimedia file. Supports all sorts of compression and file type. 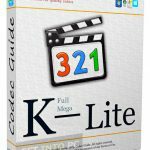 Includes various different video codecs and filters. Lets you configure file associations from installer. Can set Windows Media Player to manage VOB, FLAC, FLV and MKV files etc. 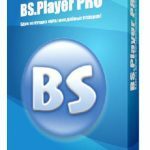 Before you start Media Player Codec Pack 4.4.5.707 free download, make sure your PC meets minimum system requirements. Click on below button to start Media Player Codec Pack 4.4.5.707 Free Download. This is complete offline installer and standalone setup for Media Player Codec Pack 4.4.5.707. This would be compatible with both 32 bit and 64 bit windows.